It happens as summer begins it’s full glory, usually around the time of our neighbor’s amazing, long standing traditional Solstice Party. 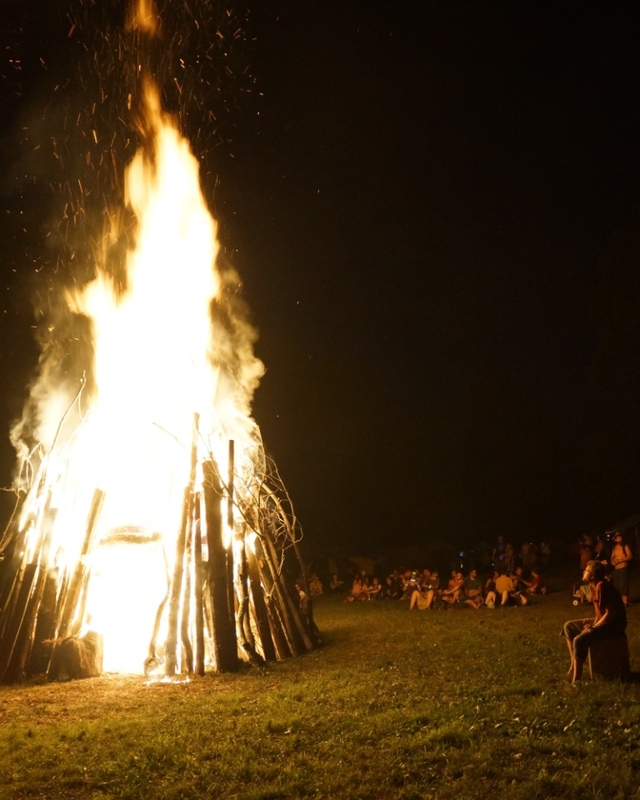 Things get fiery – it must be time to harvest the garlic. We watched it all winter. The sprouts emerged and gained a little height before the deep cold set in, and then they sat there. And we waited. 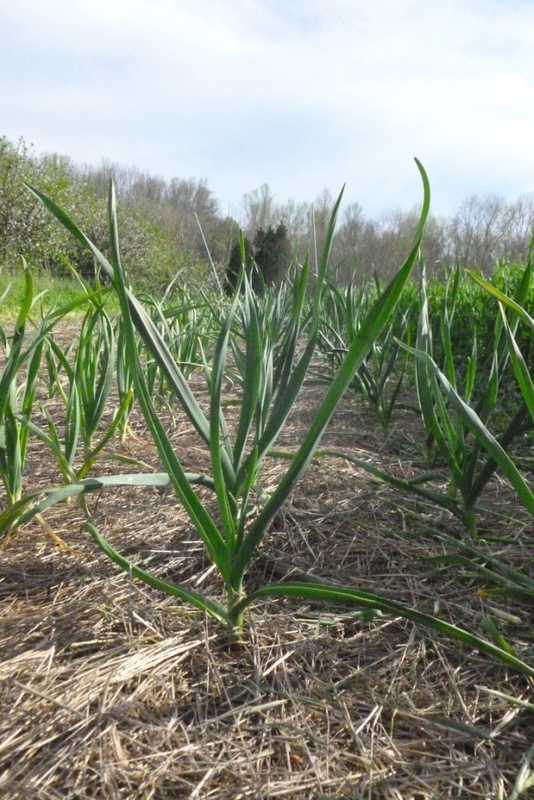 In Spring, if you mulched well, there’s not much to do with a garlic bed except harvest scapes. If you’re into that sort of thing, you could do some aerial fertilizing with compost tea or the like. this was back in April. nice. And watch for weeds. A biologically active soil eats mulch. So, as the soil warms and comes to life, the mulch will thin, the sun may be able to reach the soil, and seeds will sprout. It’s in the best interest of the garlic grower to keep the weeds at bay. 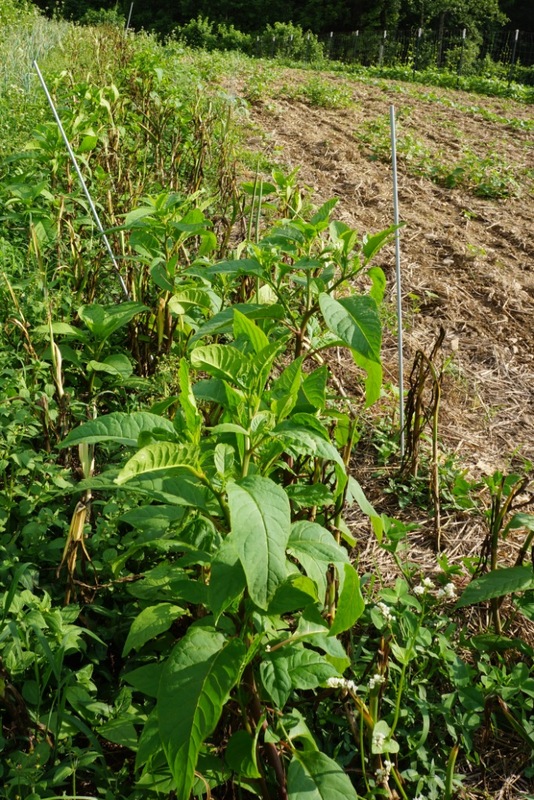 This year, we had a lot of galinsoga in the garlic patch, as well as some pernicious poke weed. Galinsoga goes from seedling to full blown flowering adult in about 3 days, but at least it’s easy to pull. We did what we could do between rains and other work, but the patch still looked a mess by the time we got up the hill to pull the garlic. It’s painful to be honest about that – but I’m doing it anyway. 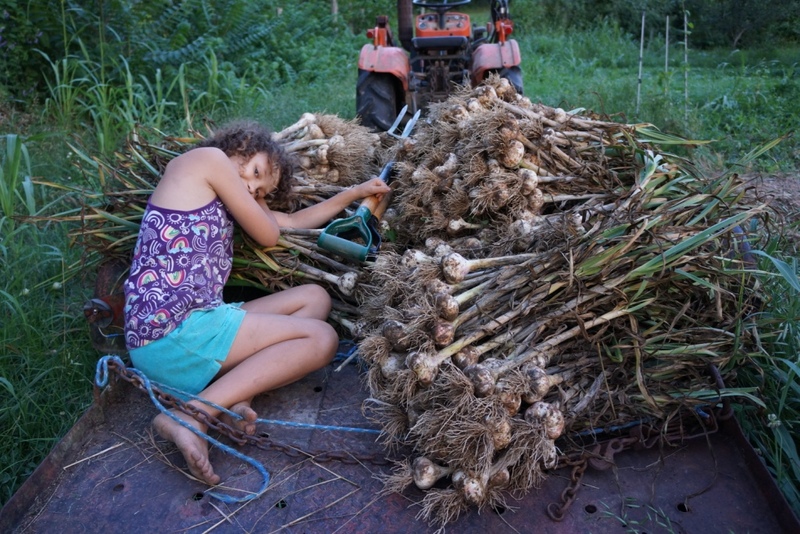 There have been years, when our soil was particularly soft and the mulch just right, that we could pull the hardneck garlic varieties by hand with a gentle tug. Softneck varieties don’t hold up so well to that treatment. For the most part we use a digging fork or a trowel. This year, we also engaged the helping hands of a nine and a four year old, to help rub the soil out of the roots of each bulb as it emerged. They were proud to get dirty for the good cause, and they slept well that night (but not on the garlic wagon). 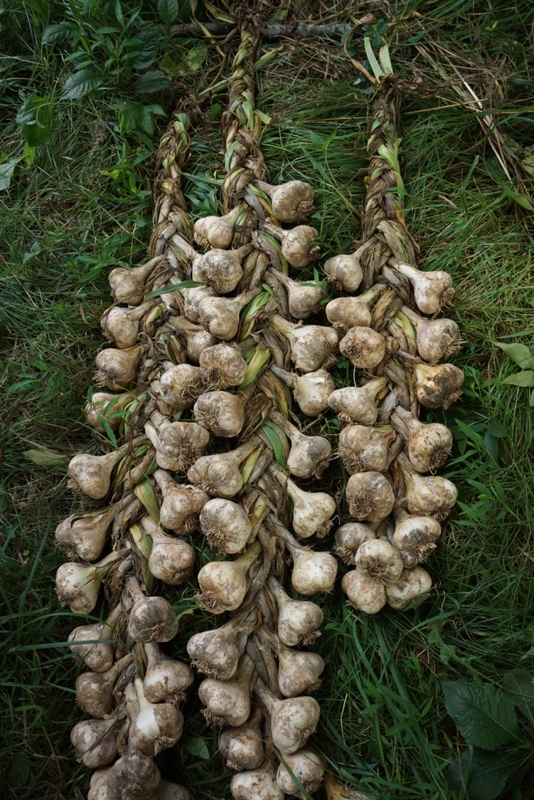 Ideally, we want to see a couple of decent looking leaves still standing on the stalk when the garlic is harvested. Each leaf is an extension of one of the sheathes around the bulb underground. Keeping those wrapping layers intact is important to the storage life, and beauty, of the bulb. Good handling is also important. We handle our bulbs with care – never tossing them onto the ground, into the wagon, or into baskets. They can bruise, and then, they can rot. Once all the bulbs are out of the ground, with the dirt rubbed out of their roots, they need to cure and be stored. Like many a small homestead, our storage facilities are lacking. It’s intensely humid in our hollow and we do not have any climate controlled space, at all. Ideally, we would be curing garlic in a shady but not necessarily dark, cool but not really cold, location with low humidity. Needless to say – that’s just not happening here. We have learned that good air circulation and shade are our best bets for successfully curing the garlic. Some experts claim that keeping the bulbs attached to the stalk, with the roots removed, is the best. We cut off the roots, but we also cut the stalks on the hardnecks, just to make storage a little more smooth. Softnecks can be braided, which is a beautiful way to store them. It also makes for an enjoyable afternoon in the shade on a hot day. Whatever your storage capabilities – it is important to care for your garlic harvest in an expedient manner. One year, our timing was poor. It was raining and we left our garlic piled on the wagon under a tarp for a day or two while we took care of other things that seemed more important. It was a horrible mistake. When we peeled back the tarp, the garlic was a damp, dirty mess – really gross. Not a total loss, but far from ideal. It is a deeply satisfying process to see the garlic put up for the season. We handle each bulb, trimming off the roots, feeling their bulbs for any damaged cloves, and separating out the largest and most perfect ones to plant again in the Fall. 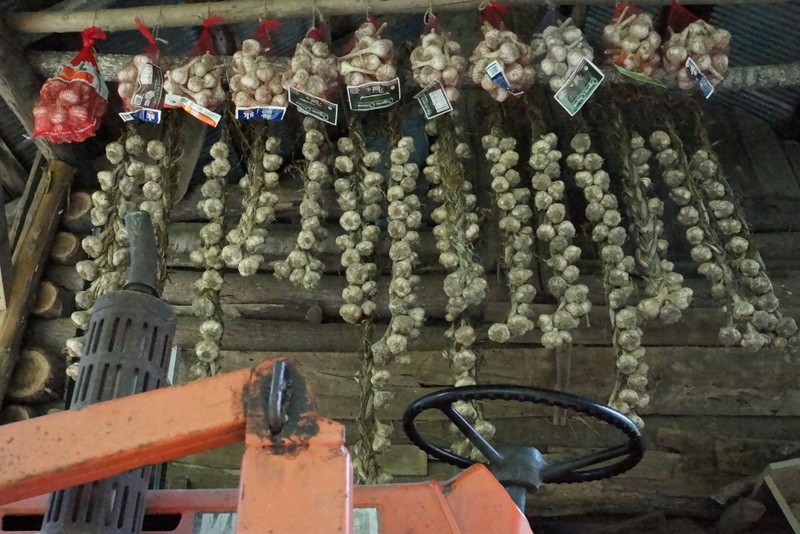 Our garlic hangs in the rafters of our tractor shed. It cures well enough there, where the sun never shines but the wind does blow, and will keep there for the heat of the summer. As temperatures begin to really dive at the end of the growing season, we will bring it indoors and hang what remains of it upstairs, where it is slightly too warm (being better than slightly too cold) but at least the air is a little more dry. 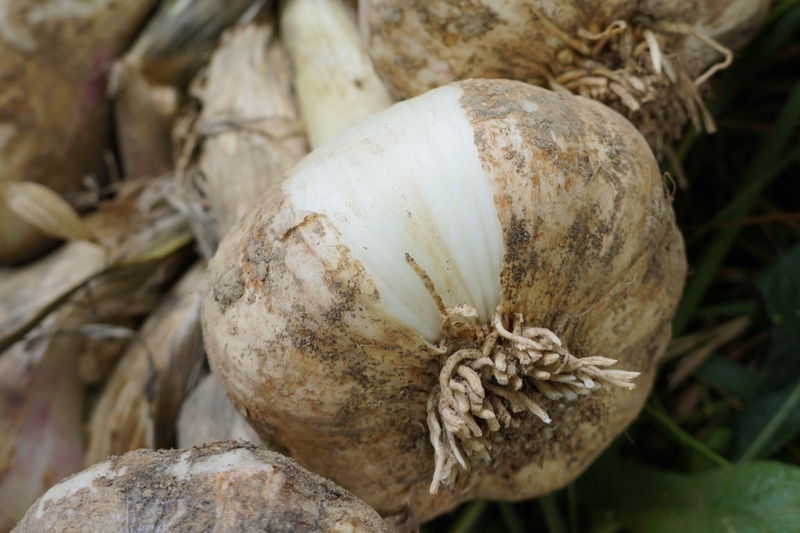 Any bulbs showing signs of deterioration will be plucked from their bags or braids and used immediately. Bulbs damaged in harvest, or deemed too small to share are also held separately and used up first thing. Garlic is an amazing plant. 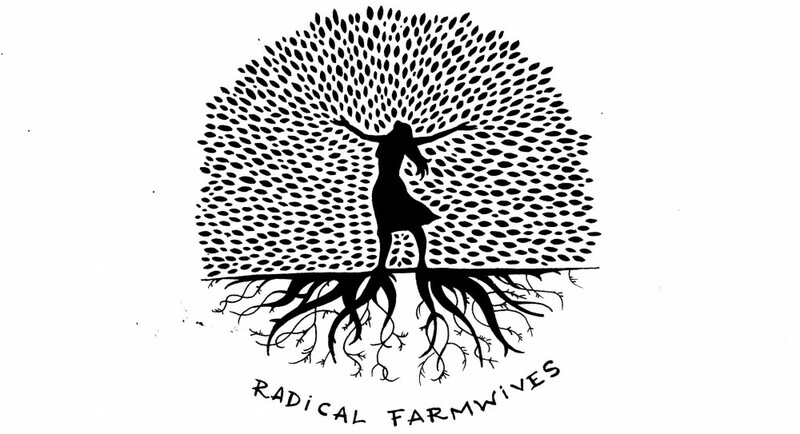 As medicine, as food, as experience with the living world, it is well worth growing your own. This entry was posted in coree's posts and tagged agriculture, farming, food, garlic, harvest, homesteading, seasonal living, summer by Coree. Bookmark the permalink.